Here are the 147 pieces. 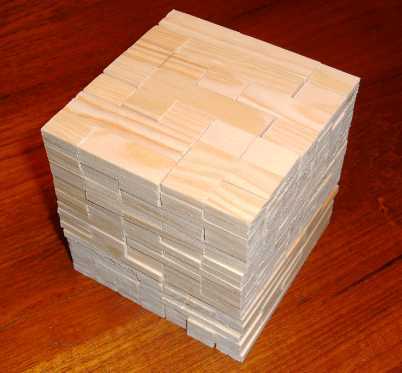 With 5*147=3*5*7*7 we can look for a 5*7*21 box where all edges are different. Using a unit cell of size 4.2*3*1 the 5*7*21 box will be a perfect cube of size 21. I found this construction in December 2001.